This week at Ready-set-read.com, I'm sharing cool ways to stock your home library. This is day 3 of the series, so if you missed the first two days, you can catch up on day 1 and day 2. On day 1, I shared ways to save space in your home library. On day 2, I shared ways to add variety to your home library. Today I am continuing to share a variety of genres to include in your home library. I am also sharing some tips for organizing your home library from fellow teacher and homeschooling bloggers. As I've mentioned before, it's great to have variety in your home library. While it's awesome to have the best and most engaging new books available, it's equally great to have classic children's literature available for your child. 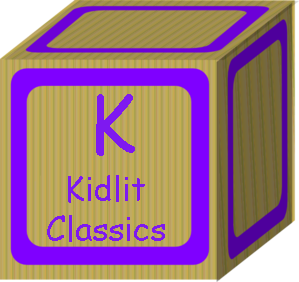 If you need to beef up your classics section, check the ideas in these posts. What do we do all Day? 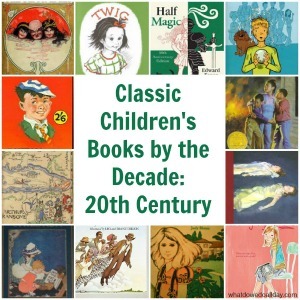 has a series highlighting several classic books worth reading from each decade of the 20th century. You may find something you enjoyed as a kid or even something your grandma liked reading! 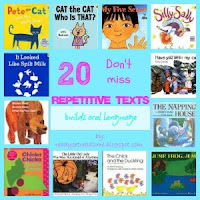 The books that I featured in this post on repetitive texts would also be great classic books worthy of any home library. I have several ways to make homemade books for your children on my bookmaking 101 page. One cheap and easy way to make books for toddlers is to use food storage bags. These can be a cheap way to add to your home library. Early reader books can be quite expensive and are only read for a few weeks. Printing them out yourself can cost you a dollar or less per book. I have several books for early readers in my teachers pay teacher store. Paperback books are much cheaper than hardbacks but also tear up quickly. 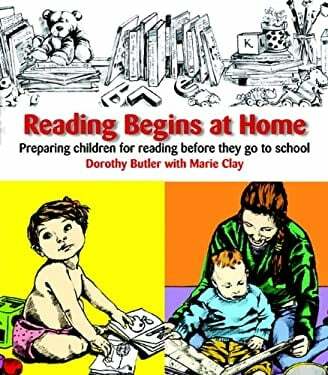 Marie Clay shares a tip in her book, "Reading Begins at Home". She suggests simply using contact paper to reinforce the cover when the book is new, making it last much longer. 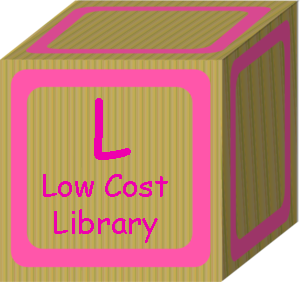 Her book is a great resource when building a home library on the cheap. M is for...Math stories. When I was a kid, I loved reading time at school but I dreaded the hour after lunch when we had to do math. If you have a kid who would rather read than compute, try adding some literature with a math theme to your home library. Heartwarming story that illustrates ideas for celebrating the 100th Day of school. Great for learning about counting to 100! The early math concept of doubles is taught in a engaging farmyard setting. Also, check out this free resource from Wise Owl Factory's Book a Day Blog to accompany the book. Click on the picture to go directly to the freebie! This is a level 1 book in the Math Start series by Murphy. This book teaches patterns as a boy plays with cars. Use it to teach patterns during your playtime as well. A counting book by Baker can be combined with this free resource from Wise Owl Factory's Book a Day Blog to teach early math concepts of tallies and compliments of 7. Click on the image to open the freebie!This blog also has many more book reviews and activities for early math! Click the picture for a free math activity to accompany the book. 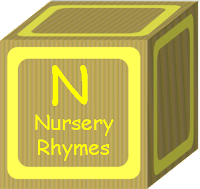 N is for...Nursery rhymes. A good collection of nursery rhymes is a must have for any library. I've found that most families have their favorite collection. Many of us have different tastes on illustrations. You may gravitate toward a board book version when your kids are little and move up to an paper anthology as they grow. Try checking out a few from the library and seeing what grabs your kids interest. And remember, nursery rhymes don't have to end when your baby grows out of his nursery. 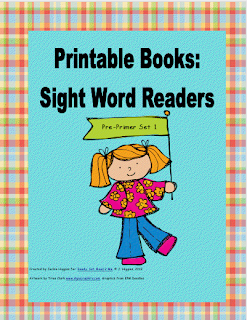 They can grow with your kid and can be a great choice to support early readers. This is a priced product in my Teachers Pay Teachers Store. There are 5 nursery rhymes formatted into little printable books with clear illustrations. Emergent readers will feel like superstars as they "read" these familiar texts. Mary Engelbreit is one of our favorite illustrators and we love her version of Mother Goose rhymes. This book plus audio CD accompaniment is a fun way to listen to nursery rhymes in Chinese and English. This Reading Mama was nice enough to share this post with tons of tips on how to organize everything from your child's independent reading books to read aloud books. 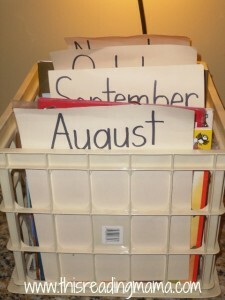 I'm organizing my read alouds by month after reading her post! Check out this sneaky way of leveling text in the classroom (or the homeschool classroom if you'd like). 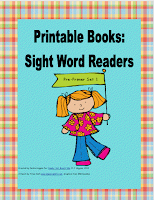 This allows children to find appropriate books without creating competition between readers. This is a set of FREE printable to save you time in organizing your books. If you click on the picture the freebie will open! Have you checked your library for variety? 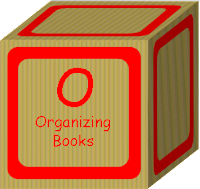 Do you have a great organizational system? I'd love to hear about it in the comments. Here are some other interesting topics covered from A to Z that would be worth checking out! Thanks so much for mentioning my classics series! Very nice suggestions and excellent information, once again. Pinned to Learn to Read! I am loving your series! Books by the decade is so fun! Very nice post, Carolyn! Love how you took the time to be so detailed in information and photo's to match the resource. Bravo!